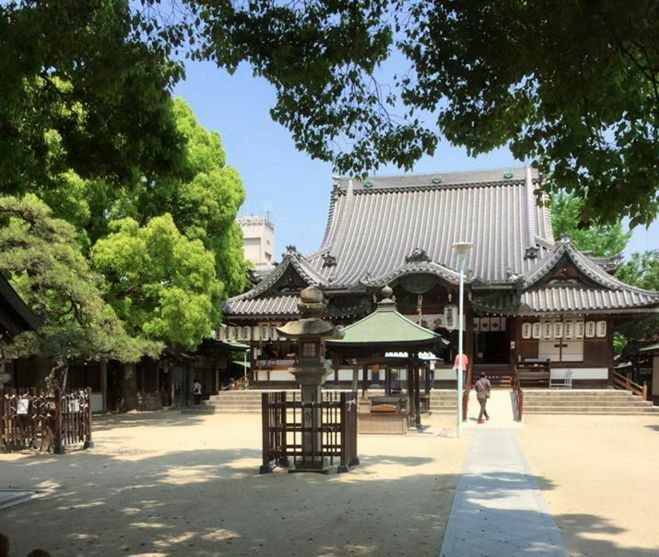 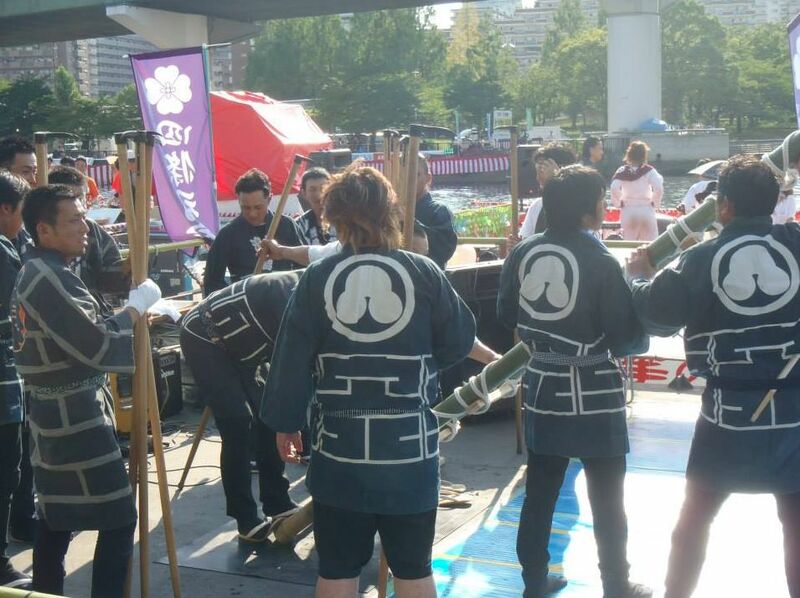 The Naniwa Tobi Tradition Preservation Society of activity report. 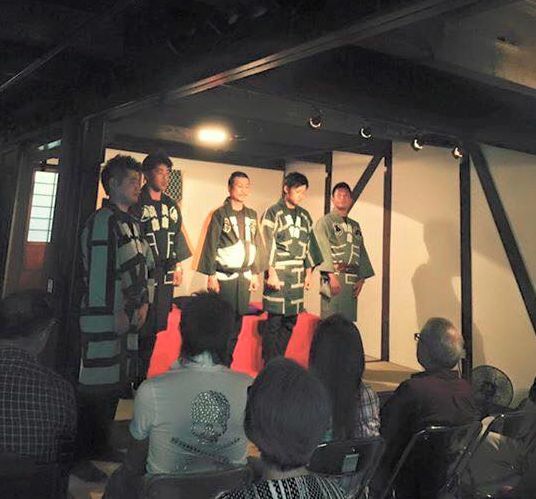 We performed in an event Tobi X Rakugo held in Hyakunen-Nagaya. 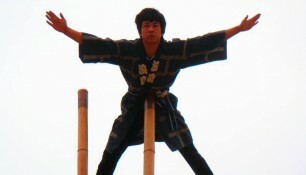 We dedicated our ladder-top stunts in the Abiko Kannon Temple (Sumiyoshi-ku, Osaka). 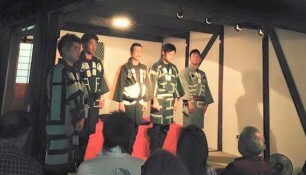 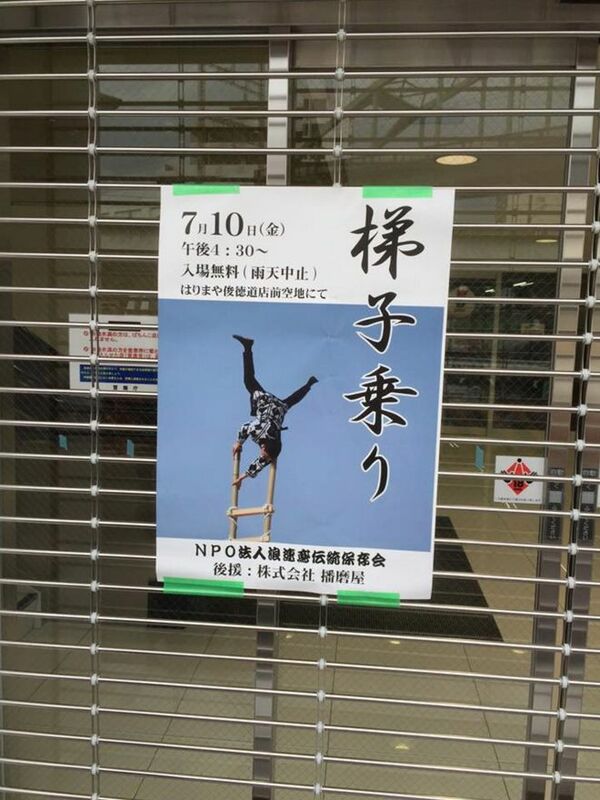 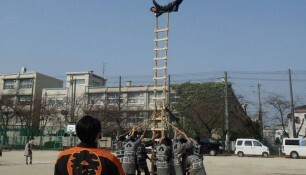 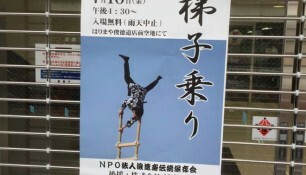 We performed ladder-top stunts in the completion ceremony for Harimaya’s new Shuntoku-Michi parlor (Higashi-Osaka). 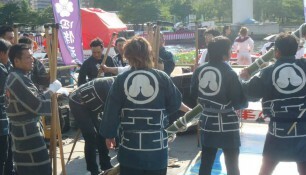 We participated in the disaster-prevention event in Karita, Sumiyoshi-ku. 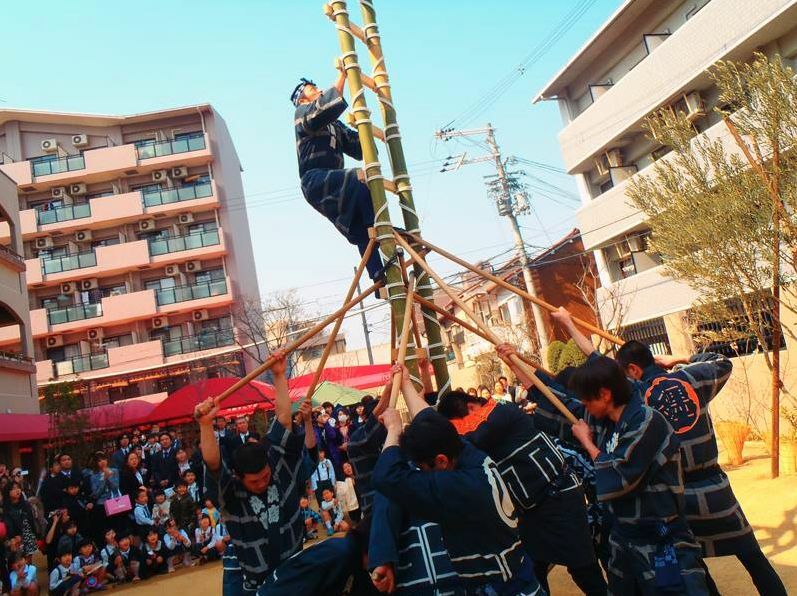 We performed ladder-top stunts in the Hongu and on Toyouke boat for the Tenjin Festival. 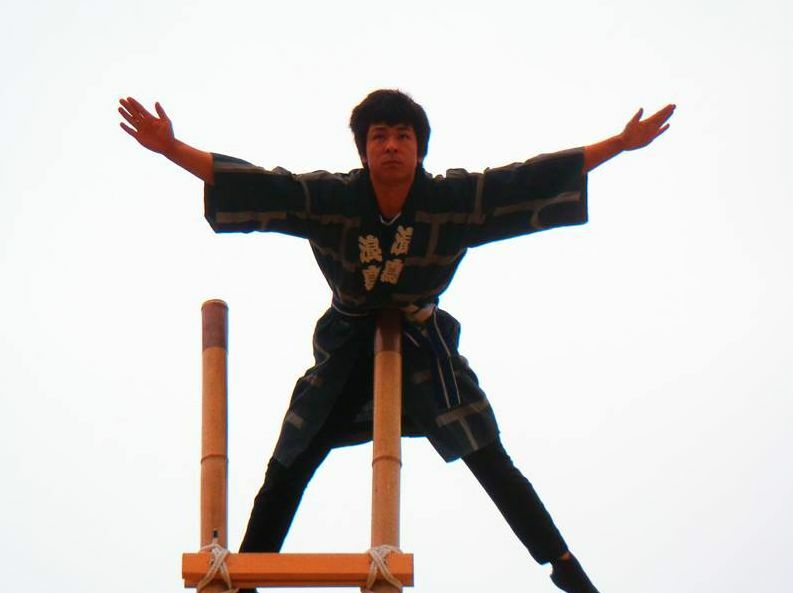 We performed ladder-top stunts at the “Danjiri Festival in Osaka Castle 2013” held in Osaka Castle Park. 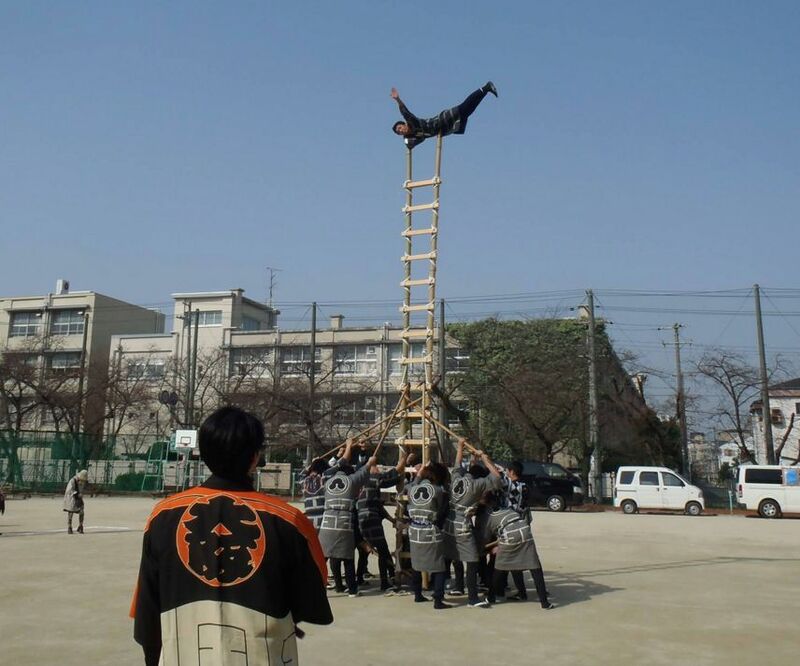 We performed ladder-top stunts for children of the Fujisawa Kindergarten. 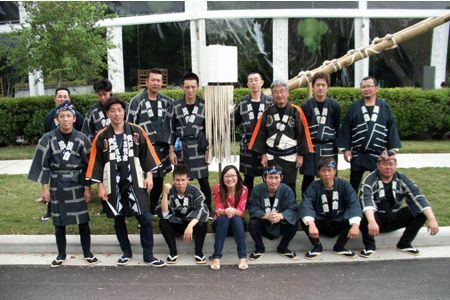 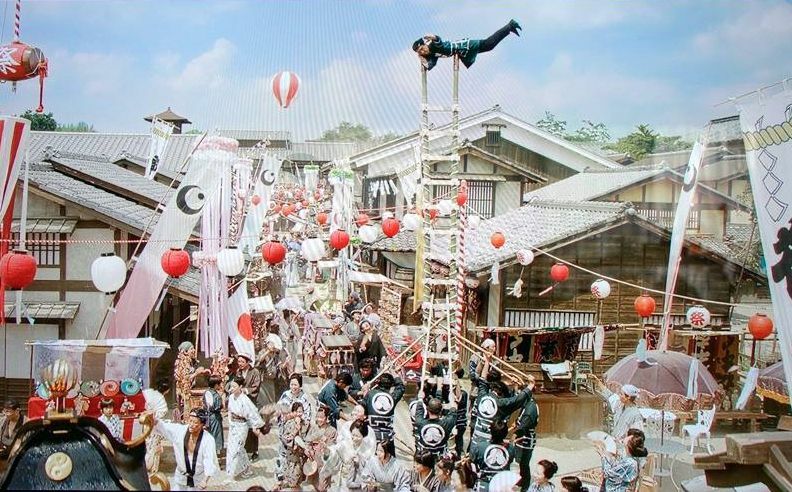 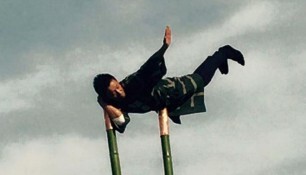 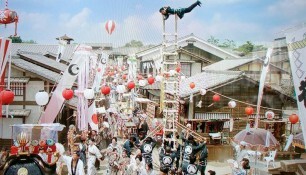 We appeared as ladder-top stunt performers in the movie “Rurouni Kenshin” starring Takeru Sato. 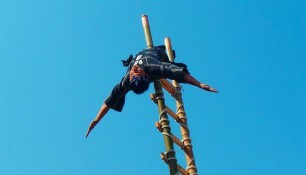 We performed ladder-top stunts in an event held by the Asia Society in Houston, U.S.